Predator-induced changes in physiology and behaviour may negatively affect a prey’s birth rate. Evidence of such indirect predator effects on prey demography remains scarce in birds and mammals despite invertebrate and aquatic studies that suggest ignoring such effects risks profoundly underestimating the total impact of predators. 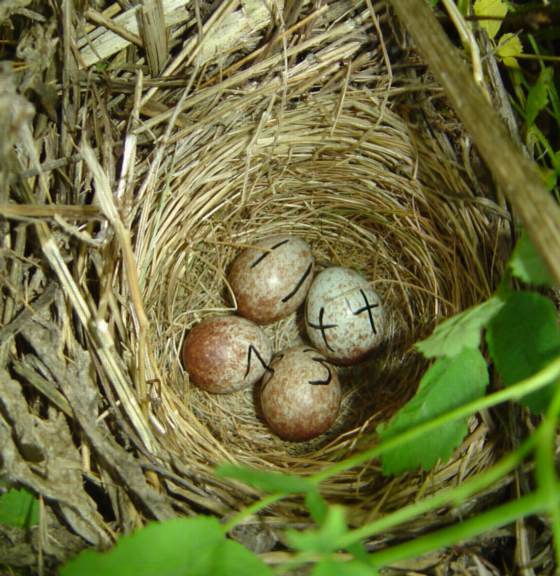 We report the first experimental demonstration of indirect predator effects on the annual ‘birth’ rate resulting from negative effects on the size of subsequent clutches laid by birds. We manipulated the probability of nest predation and measured the size of subsequent clutches and multiple indices of the mother’s physiological condition, while controlling for food availability, date and stage of breeding. 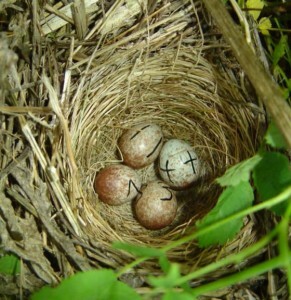 Females subject to frequent experimental nest predation laid smaller subsequent clutches and were in poorer physiological condition, particularly regarding non-resource-based indices (e.g. oxidative stress and glucocorticoid mobilization) consistent with both a response to the threat of predation and an increased cost of egg production. Clutch size, cost of reproduction, egg production, nest predation, non-consumptive effects, oxidative stress, predator–prey ecology.